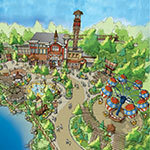 "Sounds like the new $8 million 'Fireman's Landing' will add new meaning to 'blazing' fun, excitement and adventure at Silver Dollar City starting in 2015," said Tammy Johnson, the General Manager for the Branson Tourism Center. The new area, which will have six new family rides and four interactive play zones, all themed around "the spirit and training of community volunteer firefighters," was announced at a press conference at the park on Aug. 13. Read entire article here. An affordable package with your choice of Starlite Theatre shows? Yes...for as little as $219! 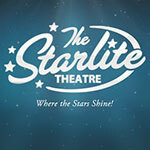 The "Starlite Theatre Spectacular" let's you choose from the legendary Gatlin Brothers; those handsome boys from the Lonestar state, The Texas Tenors; or one of the guest stars on Larry's Country Diner! Choose from four quality lodging properties; All American Inn & Suites, Branson Yellow Rose Inn & Suites, Stone Castle Hotel, and Honeysuckle Inn. 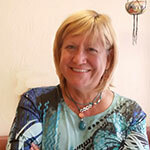 Get a valuable Guest Card Savings Book, too! View package here. 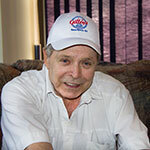 Mickey Gilley, one of the last nationally known stars that came to Branson in the early 90s still regularly performing, is celebrating his 25th year in Branson in 2014. Known for his honky-tonk piano playing style and a string of 17 Number 1 hits, this country music icon, even in the face of a paralyzing injury, which would have put a lesser man down, is starring in the Mickey Gilley show. Along with the "Urbanettes" and the "Urban Cowboy Band," this consummate entertainer, with his genuine talent, warmth and smile provides an unforgettable memorable one of a kind musical entertainment experience. Read entire article here. 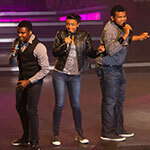 When the Cole siblings, Michael, Avery and Nadia burst onto the entertainment scene on the hit NBC prime time show "America's Got Talent (AGT)" in 2009 as the "Voices of Glory" their story and musical ability touched America's heart and took them to a fifth place finish in the Finals. Having seen their appearances on AGT and their Branson show recently, Ayo Starring Voices of Glory, I feel very safe in saying that same story, charisma and talent, aged like a fine wine, that captured the hearts of America when they were on AGT, is now capturing the hearts of Branson audiences. Read entire article here. 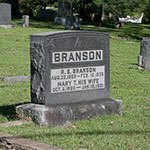 "Branson" is known, and justly so, as a top tourist destination because of all it has to offer in terms of beautiful scenery, pristine lakes, exciting shows, attractions, shopping and so much more. In fact, so much so that it made the top 25 List of U.S. Destinations in "TripAdvisors 6th Annual Traveler's Choice Destination Awards: along with cities such as New York, Orlando, and New Orleans." Read entire article here. 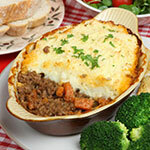 When we asked the wonderful folks from Branson's Dublin's Irish Tenors and The Celtic Ladies if the cast had a favorite recipe from home we could share, they offered this recipe for a hearty Cottage Pie/Shepherd's Pie for our visitors. It's very easy to make and a perfect recipe to feed the entire family. Read entire article here. That might seem like an odd headline, but along with "two pennies" and a trust in God, "Against All Odds" is not only the name of a book that Susan Abar wrote telling her remarkable story of courage, endurance and faith, but an accurate summary of what her chances were of living; let alone ever opening and operating a gift shop in historic downtown Branson or, for that matter, anywhere else. "The Copper Coin," operated with her husband Ron, sells many gifts, but its spirit is based on our National Motto, "In God We Trust," and the shop features a line of custom jewelry and other gift items incorporating a single copper penny into their design, delivering that message in an exclusive and beautiful way. Read entire article here.